We peeked at the future of PCs—at least, Intel’s vision of it—in a large room called the Client Experience Design Studio at the company’s Santa Clara, California headquarters. Rows of tables fill the space, many of them draped with black cloth to conceal Intel’s other secrets from public view. On one table, though, Intel has revealed all: a pair of prototype PC devices with not one, but two screens, surrounded by a number of iterative prototypes that led to the final result. 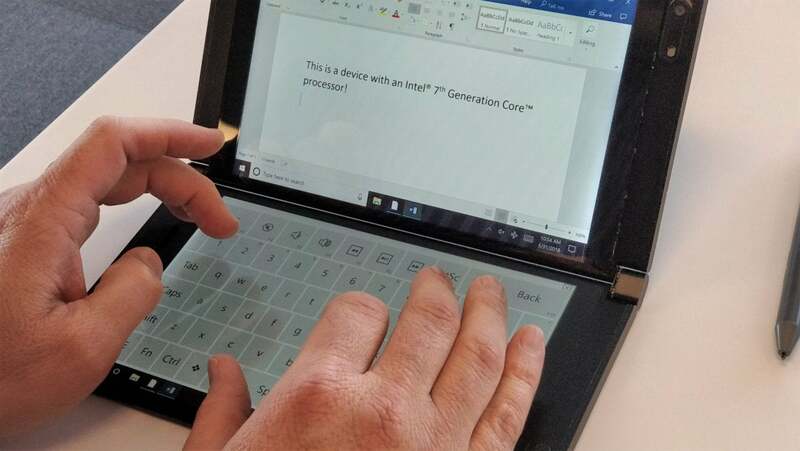 One of the prototype devices has been blessed with a public code name: Tiger Rapids, which might be called today’s two-screen PC. This is no pie-in-the-sky concept: At least two designs from Asus and Lenovo at the Computex show in Taipei will be inspired by the Tiger Rapids design, explains Gregory Bryant, senior vice president and general manager of Intel’s Client Computing Group. Intel has worked about two years to refine this design, which it has provided to select partners. Intel’s Tiger Rapids prototype, which combines an ordinary PC with an EPD surface for easy inking. Bryant explains how the prototypes express a design goal he defines as adaptable form factors. "Conceptually, it’s not a one-size fits all world," Bryant says. "You’re going to see secondary products of different shapes and sizes, people are going to do secondary displays, obviously we’re going to work on longer-term things like bendables and foldables." Bryant emphasized that the motivation behind these designs was to make the PC bend to its user, not the other way around. "It’s not doing it because you can do it. It’s creating these adaptable form factors that fit the work that you’re trying to do," Bryant added. “Our technology is being designed to help them connect with other people,” Bryant says of Intel’s users. 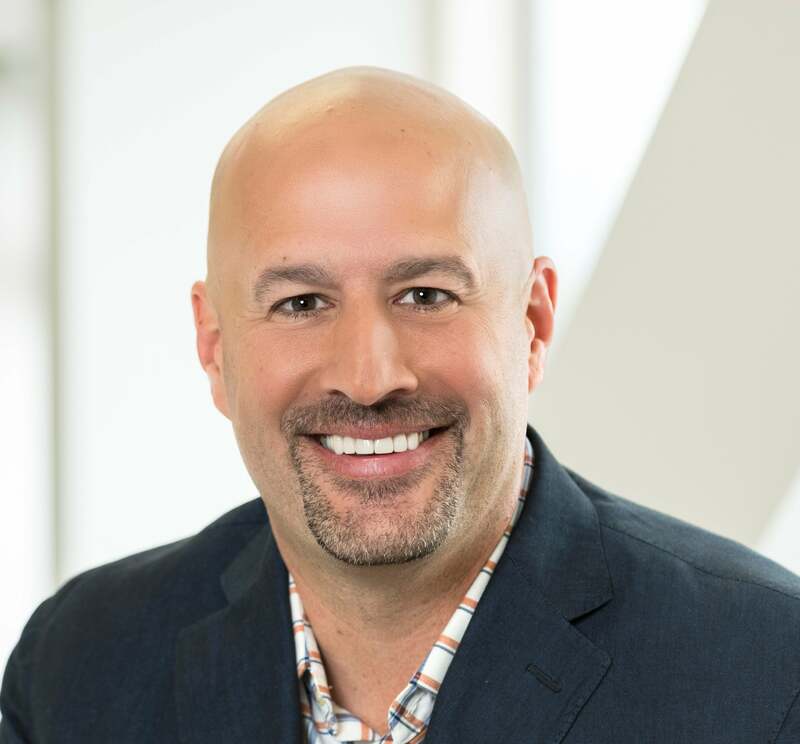 Intel’s lab is led by Murali Veeramoney, a soft-spoken but passionate man who is eager to describe in detail exactly what his small team has accomplished. (A second lab resides in Hillsboro, Oregon.) From among the prototypes of metal and plastic, he holds up something you wouldn’t normally expect to see at a technology company: a traditional pen-and-paper Moleskine notebook. In other words, this is really a “notebook” PC. It’s clear that the pen-centric Tiger Rapids isn’t for everyone. But as the Moleskine demonstrates, even a niche product can win passionate fans. Tiger Rapids’ UI allows you to ink a note...and then transform it into a OneNote note, complete with machine transcription. Tiger Rapids opens like a traditional pen-and-paper notebook, stashing its digital pen within a pen loop to the right. It’s super-thin, skinnier than an iPhone 8 at 4.85mm thick. The left-hand screen looks relatively normal, with a traditional Windows PC desktop on a 7.9-inch LCD display. Underneath it all is a Kaby Lake Core processor, an SSD, Wi-Fi, and an undisclosed amount of memory. What Veeramoney doesn’t say, but Windows Ink users know, is that the landing strip for e-inking within Windows is relatively small. Sure, various iterations of Windows 10 have improved the ink box from a small strip to a larger window that can intelligently move about the page. But it’s still a relatively small slice of real estate. Tiger Rapids solves that problem. That’s because the entire right-hand screen of Tiger Rapids is an electronic paper display (EPD) that consumes almost no power. It’s purpose-built for digital inking, complete with a slight give to it that mimics traditional paper. That’s not hype, either—Veeramoney allowed me to ink on both a traditional plastic substrate as well as the EPD surface, and there was a noticeable difference. To the average user, the effort might not pay off. But to someone accustomed to pen and paper, it’s a critical detail. Tiger Rapids’ expansion options are limited to just a single USB-C port. Intel’s partners, of course, are free to do as they choose, but the idea is that Tiger Rapids is a wirelessly connected product that might plug in just once or twice a day. The prototype’s battery life achieved 13 to 15 hours, Veeramoney said. 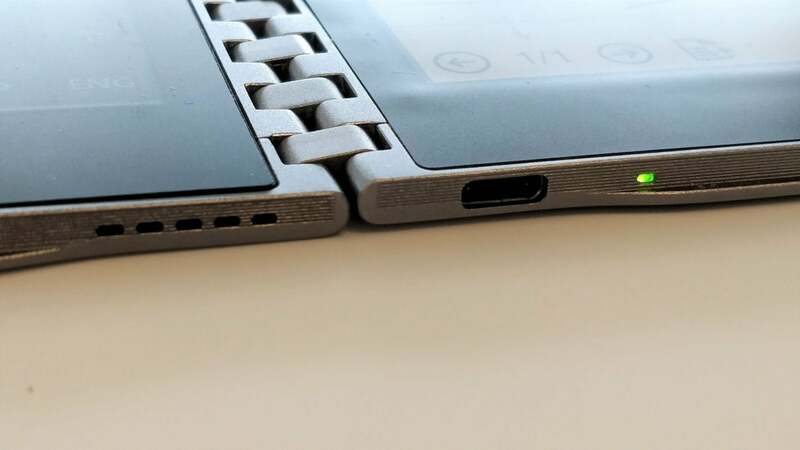 A closer look at the Tiger Rapids hinge and the single USB-C slot. The Intel prototype forgoes other expansion slots. Asus promises to have an interesting twist on the Tiger Rapids concept that Bryant calls an “AI-based PC.” He said it uses a Movidius deep-learning chip mounted on the motherboard as an accelerator for Windows’ own AI API, Windows ML. But what about something designed to consume content? More conventional dual-screen devices have gained something of a cult following, with a select group of fans wishing hard for a dual-screen device from Microsoft, for example. (No, this isn’t it.) But the basic premise is sound. By folding a pair of connected, hinged displays, users get the benefits of a larger screen while maintaining a compact form factor. 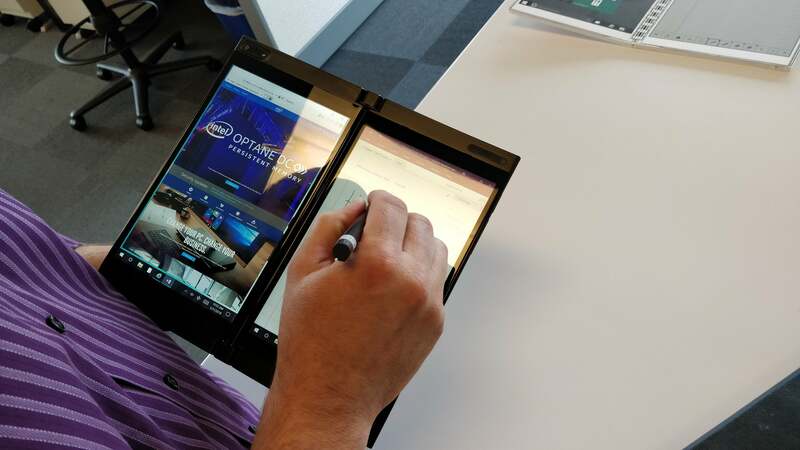 Like Tiger Rapids, Intel’s second two-screen device can be held in the hand. It uses a more traditional touchscreen display, however. That’s the idea behind the second dual-screen device, which Intel didn’t identify by code name. The device splits the display between a left and a right half, or a top and bottom half depending upon the alignment of the screen. There’s no guile to the arrangement. Each screen serves as an independent display so that the desktop or app can span both screens. 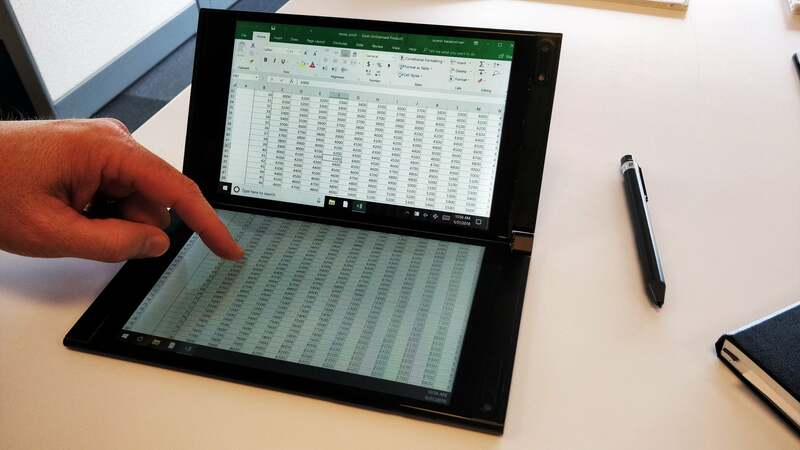 While a traditional desktop monitor arrangement remains fixed in place, however, the dual-screen notebook can be folded back into tent mode, for example, so that a presenter can see slide notes while the audience sees only the slides. 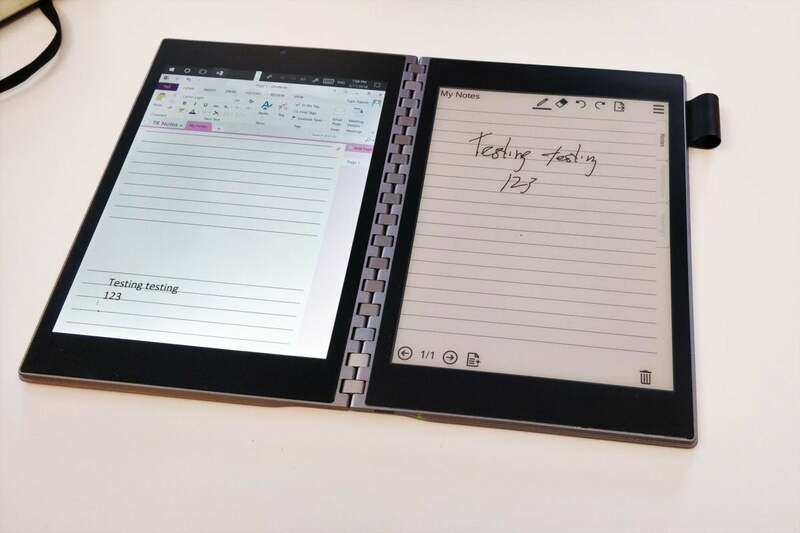 Unfortunately, the dual-screen display in this prototype forces the user to type upon glass. 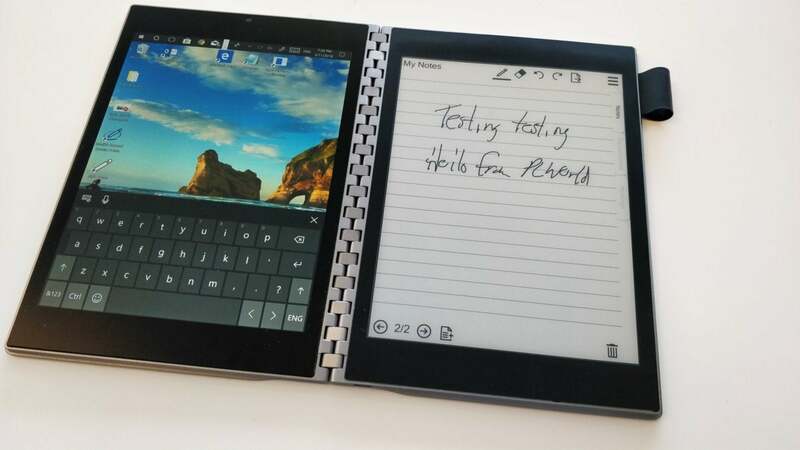 One screen can be used as a traditional keyboard, if typing on glass is something you enjoy. This second device might be called the future of dual-screen displays, but Intel executives didn’t indicate that any hardware makers planned to bring it to market at the present time. Given the success of Tiger Rapids, however, it’s possible that this device is being also shopped around to potential partners. ...Or as a second “monitor” for extending content onto a second screen. Note that there’s a small bezel between the two displays, but it’s not that obtrusive. It’s a fascinating process. Veeramoney revealed that as far back as April 2015, Intel crafted a fake review of Tiger Rapids for its own internal use, as a sort of guideline for what they wanted to see in the real world. Tiger Rapids was designed to be half the thickness of a Moleskine—what Veeramoney calls “lay-flat computing”—but not a phone. The difference, though, is that Intel has no plans, either now or in the future, to bring Tiger Rapids or any other of its cloth-shrouded concepts to market itself. In some ways, that’s oddly depressing, as Veeramoney revealed that the development process itself required literally years of work. Intel’s partners will get most of the credit. Nevertheless, it adds credence to the claim that Tiger Rapids and the other prototypes are designed strictly around the end user.